Good day and welcome! Here is a long awaited information pack with some details on trekking, mtb, packrafting and white water kayaking stages. We had extended standard entry for another 10 days to give those expecting this info pack to digest and enter the race before 10th of Feb, 23:59 cut off time. Trekking will be on the 4wd trails, off-road and through some rough ‘gorge’ous terrain. 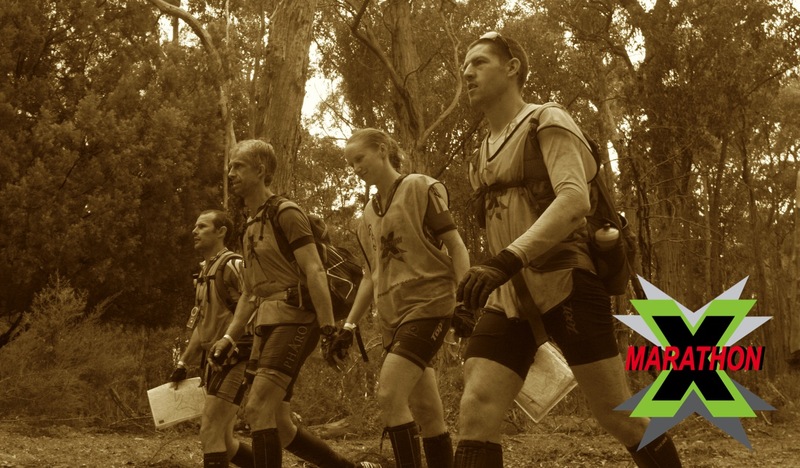 X-Marathon 2017 will include few trekking section where participants will visit some of the most spectacular sports East Gippsland has on offer. Prepare your dry bags, gaiters and cameras, there will be something to remember and tell the tales about. Mountain biking legs will be mostly on 4wd trails with some minor bits on bitumen roads and one section on dedicated mountain bike trails. Different quality 4wd trails are expected, from well-gradered roads to overgrown tracks and tracks barely wide enough to fit trail bikes. One of the highlights of the course will be downriver paddle, so you need to sharpen up your white water skills. This beautiful gorge is considered as one of Victoria’s best white water trip locations. Rapids up to grade 3 will need to be negotiated. The course will be tested at river levels closer to the dates and some mandatory portage sections may be required. Get your paddles out and breath in the adventure. Other kayaking stages will be held on a river flat water and large lake. This is a 12km stage which will be held on some low volume river where you will need to jump in and out multiple times and potentially drag your raft, depending on the water level. Being tested end of January, water levels were as low as they could be. At the current level, we would consider first 3-4km trekking along the riverbed is quicker then rafting. Remainder of the leg will be faster to paddle as pools are getting deeper and longer. There were multiple questions about cheaper packrafts, so AJ team tested “Sevylor Colossus 400” packraft, rated for 4 persons and purchased for $98. We were able to paddle it and get speed up to 6kph, with cruise speeds at about 5kph, with three people on board. It is certainly overrated as ‘4 person raft’, as 4 people can barely fit in. It is not the lightest option, and it is not the toughest either, however, considering stage is only 12km, and most of it is large long pools of water with short sections that might require portage, it is a viable option. We also tested packrafting on shallow sections of Snowy river with rocky bed and some minor rapids, and test was successfully passed. We would strongly recommend focusing on paddling technique you are going to use when paddling your packraft. We suggest fastest option is to paddle 2 persons per 2 person packraft, with kayak double sided paddles. This will be suggested by race logistics, as you will receive your kayak bag before the packraft with all your kayaking gear, PFDs and paddles, and will have to carry it till the end of packrafting stage. Paddling canoe technique with one-sided paddles found to be slower. However any technique which can get your craft to around 5kph will be a good one! key for this leg will be speed you can get your packraft on still water. Equipment section had been updated. White water kayaking stage will require throw rope per boat (2 per team) and white-water certified helmet per person. This will be checked at equipment check. Read X-Marathon'17 race update 3.5 months to go update.